conversations with respect to her long time friend John F. Kennedy. in the Congress, such as the seniority rule. sixty-four, a man who believes as I do." asked, "Who is your choice as a running-mate?" it will. not .be Lyndon." "Well, that's Lyndon, and he's in a lot of trouble." of 11-22-63, in their "Hotel Texas" Presidential suite. and his very quickly pump-walking away down the hallway. . . .
Link: DID YOU KNOW ? . . . . .
many persons still do not, yet, know. . . . .
the . . . .
Presidents has died in office. the only chance I got." U.S. presidents, and, his odds of becoming the president through a president’s death. . . . . the . . . .
United States ‘heart-beat away’ Vice President . . . . .
. . . . a.k.a. . . . .
very hard to find . . . .
"The Men Who Killed Kennedy"
for Our People . . . .
"I know, beyond a reasonable doubt, that Johnson murdered Kennedy. He acted through Clark. He saw that it was done, and, he did it out of a Corruption of power that is unequaled in our history." . . . . and . . . .
"I know as attorney for Lyndon Johnson that he murdered John Kennedy ---- Murdered John Kennedy to become President and avoid prison, and, there is no doubt in my mind." "In January of 1964 the Warren Commission learned that Don B. Reynolds, insurance agent and close associate of Bobby Baker, had been heard to say that the F.B.I. knew that Johnson was behind the assassination. When interviewed by the F.B.I., he denied this. But he did recount an incident during the swearing in of Kennedy in which Bobby Baker said words to the effect that the s.o.b. would never live out his term and that he would die a violent death." aide, Bobby Baker, had explicitly tied Johnson into Baker's crimes. you can have your war. " STANLEY KARNOW in "Vietnam: A History"
Convicted Murderer and Corrupt LBJ Henchman MALCOLM “Mac” EVERETTE WALLACE’s Fingerprint Found 11-22-63 inside the Warren Commission-apologists, supposed, "lone-nut" "snipers lair"
. . . . . . . . the "Mac" WALLACE fingerprint is also discussed by Mr. DARBY in this short VIDEO. 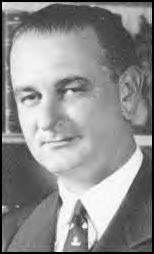 Mr. DARBY is the long time professional expert in latent fingerprint identification who matched the Texas School Book Depository sixth floor Warren Commission-apologists, supposed, "lone-nut" “snipers lair” 11-22-63-unidentified fingerprint to WALLACE‘s previous police fingerprint card after WALLACE’s 1951 arrest (and later conviction) for pre-meditated murder........ WALLACE was convicted of premeditated murder then, incredibly, astonishingly, WALLACE was never imprisoned ---- merely receiving a sentence of only 5 years of probation ---- while LBJ was staying in the town during the trial judged by an LBJ friend........ On 10-22-51 WALLACE had murdered JOHN KINSER, who had, supposedly, asked JOSEFA JOHNSON (the parties-obsessed, promiscuous, bi-sexual sister of LYNDON BAINES JOHNSON and KINSER’s then-lover) if she could arrange for LBJ to "loan" KINSER money because JOSEFA had shared to KINSER about some of LBJ’s many corrupt activities. LBJ interpreted KINSER's request for a "loan" as a blackmail and political career endangering threat. Additional detailed information with respect to the 11-22-63 finding of the MALCOLM WALLACE fingerprint inside the Warren Commission-apologists, supposed, "lone-nut" "snipers lair"
“Dead Men Talking: An Update” by JAMES DiEUGENIO with respect to the 11-22-63 finding of the WALLACE fingerprint inside the Warren Commission-apologists, supposed, "lone-nut" "snipers lair"
their compliant cooperation's during the assassination cover-ups. side of it across his neck, in a slow, slitting movement. if it's the last thing I do.’ "
him from getting what he wanted." for wanting President KENNEDY assassinated. . . .
Texan #1: We'd have made improvements around here, oil or no oil. Texan #2: But that 27.5 % tax exemption on oil helped, didn't it? Texan #3: Bale, I'll tell you what old Pinky thinks. Texan #3: That oil tax exemption is the best thing to hit Texas since we whooped Geronimo! Texan #2: One of the finest laws ever passed in Washington! 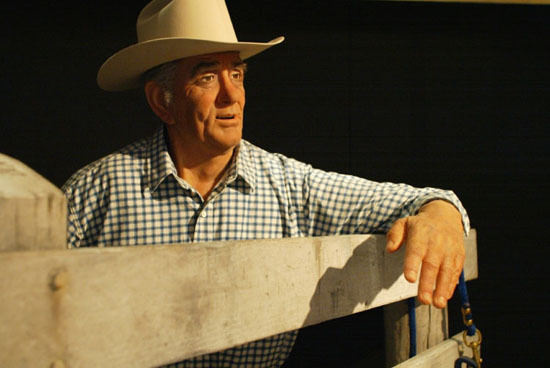 Texan #3: And all joking aside, Bick . . . . we're not adverse to accepting a share of the credit for it. History of the Texas-based, mega-corporation, "Brown and Root,"
VIDEO of MADELEINE BROWN interview . . . . She was, supposedly, just one of LBJ's mistresses, and mother to LBJ's illegitimate son, STEPHEN . . . . quoting LBJ on 11-21-63 . . . . When MADELEINE BROWN, just one of LBJ’s, supposed, mistresses and mother to his illegitimate son, questioned LBJ soon after the assassination telling him she had heard talk that LBJ was involved in the assassination, she claimed that he quickly and furiously exploded ---- telling her . . . .
" It was Texas oil and those f**king renegade intelligence bastards in Washington! " . . . . that had murdered President KENNEDY.
" I'll tell you something about Kennedy's murder that will rock you. .... Kennedy was trying to get Castro, but Castro got to him first. " 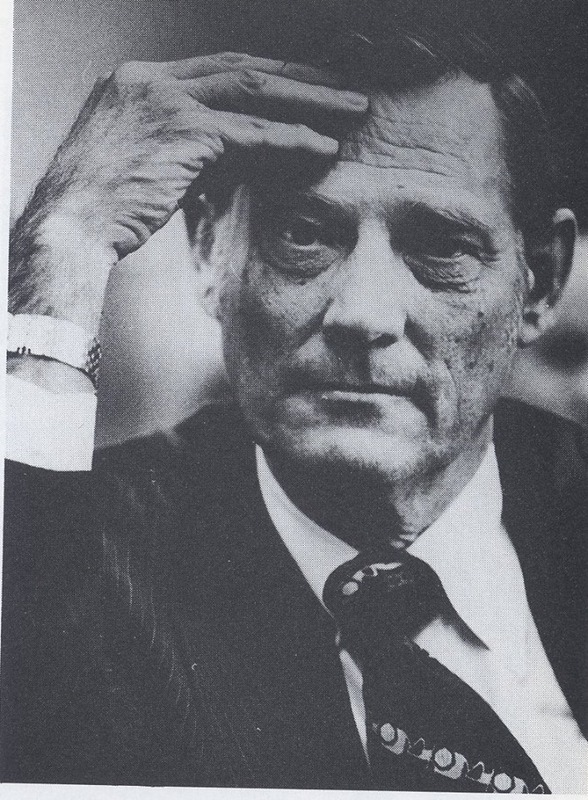 L. FLETCHER PROUTY, USAF (Ret) research study, "LBJ, JFK & the Great American Coup D'Etat"
LBJ to Hoover: "The only way we can stop 'em . . . . "
MICK GREGORY research study, "What the Mainstream Media Hid about LBJ"
“It seems very likely that the F.B.I. 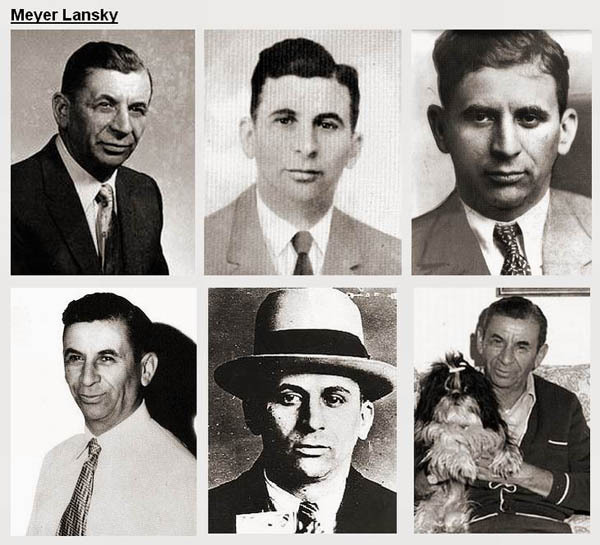 was bugging and monitoring Baker’s business partners not only because of their connection to Baker and potentially to Johnson, since Hoover always liked to keep his options open, but also because Baker’s business partners were linked to two of the biggest names in the syndicate world—Lansky and Dalitz. Baker may or may not have known the implications. Hoover certainly would have, and certainly the associates of the gambling figures would have been aware of the potential impact of any associations with Baker or LBJ. However, what Black certainly did know and what he very likely told John Roselli was that Black, Baker, and a senior executive from North American Aviation had visited with the Vice-President in his office in the Executive Office Building. Not a long visit, only 15 minutes or so, but long enough to leave an entry in the official visitors log; long enough to produce concrete evidence that Johnson and the Vice President’s office were part of Baker’s influence peddling. This visit was recorded in the Vice President’s daily log for August 21, 1963, while Baker’s firm was consolidating its control over the lucrative vending machine business for North American and is provided in Appendix A. There is no doubt that Johnson’s association with Baker and his business partners could have exposed LBJ to blackmail. The only questions are whether or not this was communicated to Johnson himself, and whether the approach may have been directly from Roselli. However, as with the Oswald damage control, actions and timing can provide further insight. Johnson’s reaction to the Baker scandal becomes visible in the Vice-President’s official diary for the months of October and November of 1963. These diaries were maintained by Johnson’s secretaries and are immensely detailed, recording virtually all of the Vice-President’s activities, often including the time he went to bed and his recreational activities. They are available through the Johnson Library. to kill Communist Dictator CASTRO) and LBJ was not sure what . . . .
that . . . . ahhhh . . . . . . . . could have been involved." "How did it happeni they ihit Connally?". . . .
" they " =??? !~ ?!?! !!!? 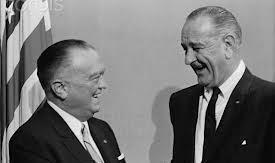 LBJ's phone conversation with his . . . .
that only stopped with his death in 1972). . . .
gave-made Hoover the "F.B.I. Director-for-life" . . . .
JOHNSON: Were they aiming at the president? 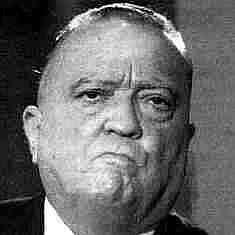 HOOVER: They were aiming directly at the president. an LBJ 11-29-63 phone conversation with HOOVER. bullets, the gun ---- You name it." this country. 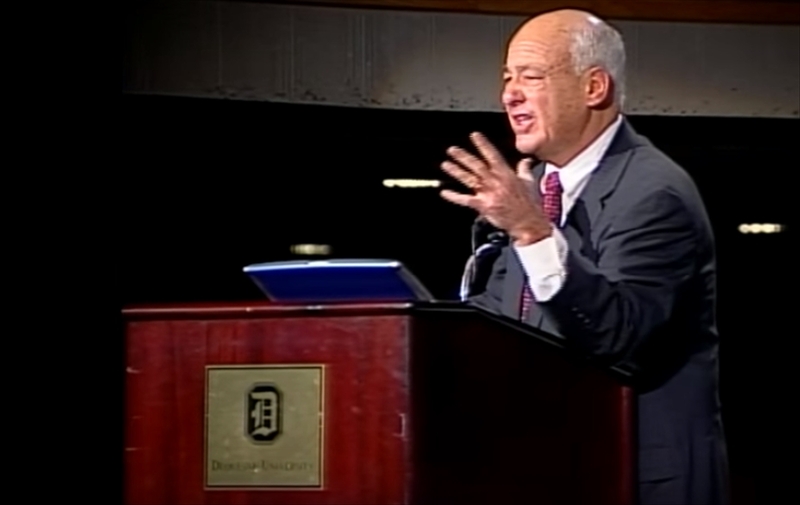 Our whole political system could be disrupted." president down in Dallas at the present time." of Howard University," Bobby Kennedy later recalled. 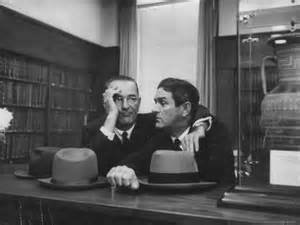 Hoover felt better about Lyndon Johnson, who was almost as devious as he was. harassing hapless leftists, yet he virtually ignored the existence of the Mafia. got its man. In a sense, though, it almost didn't matter which man. "The Ghosts of November" an outstanding updated research study by ANTHONY SUMMERS, the Pulitzer Prize finalist investigative journalist and My Friend. (Strongly recommend his outstanding JFK assassination book "Not In Your Lifetime: The Definitive Book of the JFK Assassination," and his Hoover biography book "Secret and Confidential; The Secret Life of J. Edgar Hoover" detailing the corrupted F.B.I. Director (regime-dictator) who was the Warren Commission near-total information-controlling filter, his machinations, obfuscations, obstructions, and lies by HOOVER, and his near-single-minded, “‘lone-nut’ did-it” underlings) ....A very special Thank You, again, to Dr. CYRIL WECHT, ANTHONY SUMMERS, JEFFERSON MORLEY, Dr. DONALD THOMAS, and STUART WEXLER for sharing your sensible, solid, detailed, valuable and very clear insights during our very interesting and informative private extended dinner after a day of Dr. WECHT’s 2003 President Kennedy Assassination Symposium: Solving the Great American Murder Mystery ! and certainly to the F.B.I." . . . . in acknowledgements and admissions that the F.B.I. had engaged in . . . .
"egregious illegal action---maybe criminal action." “J. 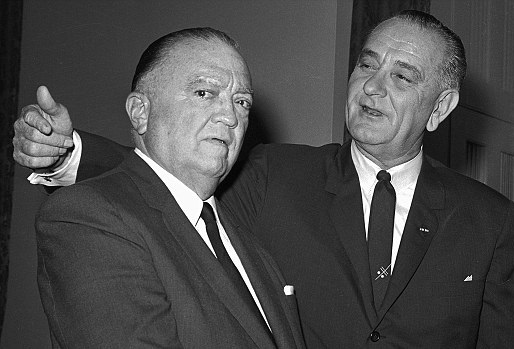 Edgar Hoover clearly abused his role as director of the F.B.I. participated should be held accountable, including Mr. Hoover." 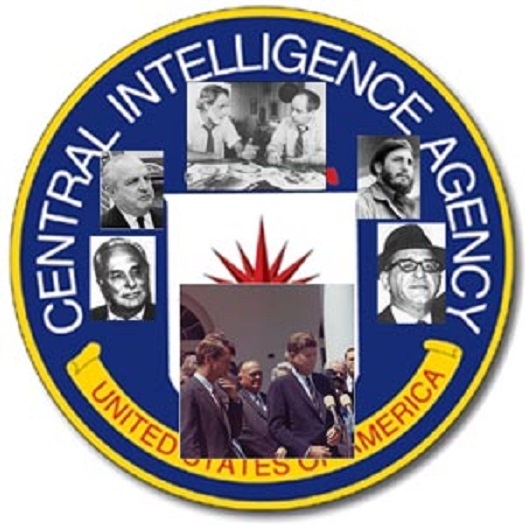 Long before (and after) 11-22-63 the C.I.A. with the Mafia had been working together because of their intersecting, common motives. This conspiring together of the U.S. government with the Mafia had been ongoing and steady from as early as, at least, World War II (possibly and probably longer), when President FRANKLIN ROOSEVELT’s government had worked together with the Mafia (in ROOSEVELT’s OPERATION UNDERWORLD “deal” with the Mafia’s main accountant MEYER LANSKY) ---- while HOOVER was the F.B.I. Director ---- to implement and continue to use the Mafia and their union workers to protect the U.S. governments vital military warehouses, docks, and vital wartime allies-needed military equipment and supplies against the wartime acts and terrorisms of Nazi spies and other enemy terrorists. Among many additional, intersecting motives leading into 11-22-63 is that after CASTRO had confiscated the Mafia's million$ of dollar$ and then also kicked-out the Mafia away from Cuba, causing the Mafia to lose future million$ (billion$ in today's inflated dollar$) out of its profit$ from gambling$, drug$, prostitution$, etcetera'$, that had been flowing ----and, allowed to abundantly, mostly continue those illegal flow$---- all during the many, many HOOVER-F.B.I.-dictatorship decades). Additionally, several extremely upset-at and JFK-hating, rogue-acting, longtime C.I.A. officers viewed and repeatedly stated publicly (as did C.I.A. Officer and Army General CHARLES PIERRE CABELL ----whom President KENNEDY had fired, but CHARLES CABELL refused to leave his Pentagon duties, and, who was, in fact, on 11-22-63 also the brother of Dallas Mayor EARLE CABELL) ---- that President KENNEDY was a “traitor” to America and the anti-CASTRO, C.I.A.-trained Cuban freedom fighters allies during the Bay of Pigs failed Communist Cuba liberation attempt. President KENNEDY did not trust the C.I.A., as evidenced by his stating to his closest friends after the Bay of Pigs that the C.I.A. had deliberately misled and flat-out lied to him, and he vowed that he would smash the C.I.A. into 1000 pieces and scatter the pieces to the winds. In 1962 ROBERT KENNEDY had already ordered the C.I.A. and Mafia to stop working together to stop developing their CASTRO-assassination teams, but, the C.I.A. decided ----internally, on its own, never informing either of the KENNEDY's---- to completely ignore RFK's orders, and all the while against the KENNEDY's C.I.A.-Mafia collusion cease orders the C.I.A. continued colluding with the Mafia to develop, train, and refine its CASTRO-assassination teams and plans until after President KENNEDY's elimination. Among many possible additional common, intersecting, and combined strong motives that funneled into 11-22-63 . . . .
. . . . Ca$h . . . . After murderous Communist dictator FIDEL CASTRO (a.k.a. 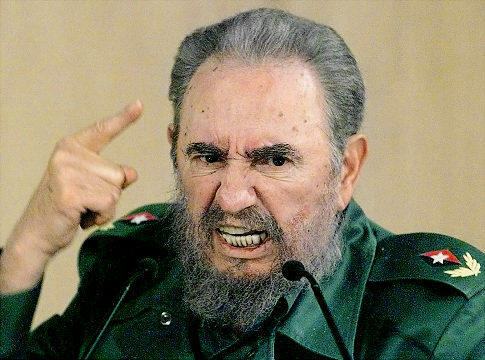 FIDEL ALEJANDRO CASTRO RUZ) liberally flip-flopped and declared to the world that he was really a Communist, he then kicked-out U.S. businesses and the Mafia out of Cuba, while he confiscated Million$ in the Mafia's dollars. That Communist CASTRO-confiscated Million$ of 1963 dollar$ ---- Billion$ in 2018 dollar$ ---- was suddenly and immediately stolen from the Mafia's gambling, drugs, prostitution, etc, that had been flowing for decades out of Cuba. . . . . Ca$h . . . . Additionally, the Mafia was losing additional Million$ (Billion$ in 2018 dollar$) while, since 1961, President KENNEDY and RFK had dramatically increased 11-fold (1100%) total man-hours of prosecutions against the Mafia within the United States. . . . . Additionally . . . . Many very upset, longtime, powerful, rogue C.I.A. Projects Officers viewed and publicly stated that President KENNEDY was a coward and/or a Socialist-Communist sympathizer and/or a “traitor” to the anti-CASTRO, C.I.A.-trained Cuban exile allies during the 1961 failure of the Bay of Pigs liberation of Cubans attempt. After the Communist Cuba liberation attempt President KENNEDY then fired C.I.A. Director ALAN WELSH DULLES (the future Warren Commission-commissar), C.I.A. 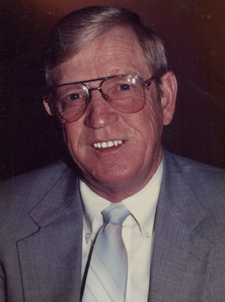 Deputy Director of Plans, RICHARD MERVIN BISSELL, JR., and C.I.A. Deputy Director General CHARLES PIARRE CABELL (the brother of 11-22-63 Dallas Mayor EARLE CABELL). General CABELL, however, refused to leave his duties----even publicly railing that President KENNEDY was a “traitor” to the American people. Rogue C.I.A. Projects Officers and C.I.A. contracted agents and partners were working side-by-side with the Mafia and with the C.I.A.-organized, trained, and supplied assassination teams to try and kill FIDEL CASTRO. (all backed by CASTRO-plots-knowledgeable U.S. corporations that were kicked out by CASTRO and lost business profits from Cuba) Since the Bay of Pigs----when the C.I.A.’s highest levels Officers had lied to President KENNEDY beforehand----he did not trust the C.I.A., as evidenced by his stating to confidant’s that he would smash the C.I.A. into 1,000 pieces, then scatter the pieces to the winds, then his taking steps during his last months to do exactly that. In 1962 and 1963 the C.I.A. budget was cut. In 1962 ROBERT KENNEDY had ordered the C.I.A. and Mafia to stop working together, but, the C.I.A. decided, instead----internally, on its own----to completely ignore these JFK/RFK orders----and the C.I.A. 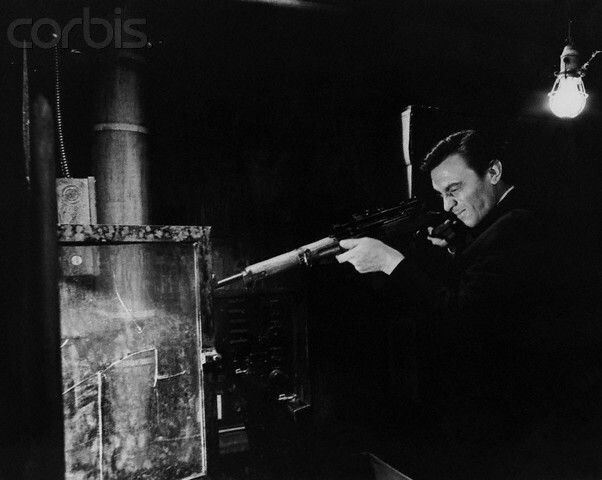 continued working with the Mafia until well after President KENNEDY's elimination. . . . . Ca$h . . . . Additionally, it is fully acknowledged that after the French left Vietnam in the mid-1950s (creating a vacuum that the Communists were continuously filling), the early U.S. paramilitary clandestine actions in Vietnam were being directed by the C.I.A.----it was the C.I.A.’s war----and the C.I.A. actions were backed-up by the then (and still) largest industry, dollar$-wise, in the United States----the "military industrial complex" that President EISENHOWER directly and very publicly warned us all about during his 1-17-61 farewell address for the nation ( part 1 and part 2)----a "military industrial complex" that had been steadily gearing up for many years in fighting, and, continuing to fight the Communists and while fighting them, to rake in many hundreds of Billion$ in profits (in 2013 dollar$) from its U.S. government contracts . . . . During 1963 President KENNEDY and his advisors were eliminating or cutting back on over 50 military bases, and formulating, coordinating, and starting the plans to withdraw most of our U.S. troops from Vietnam by the end of 1965 (KENNEDY had weighed-into that process to do so with his order of National Security Action Memorandum, NSAM # 263, on Oct 11, 1963, that ordered the first 1,000 troops to leave Vietnam by the end of 1963) . . . . NSAM # 263 was quickly reversed by JOHNSON----a.k.a. 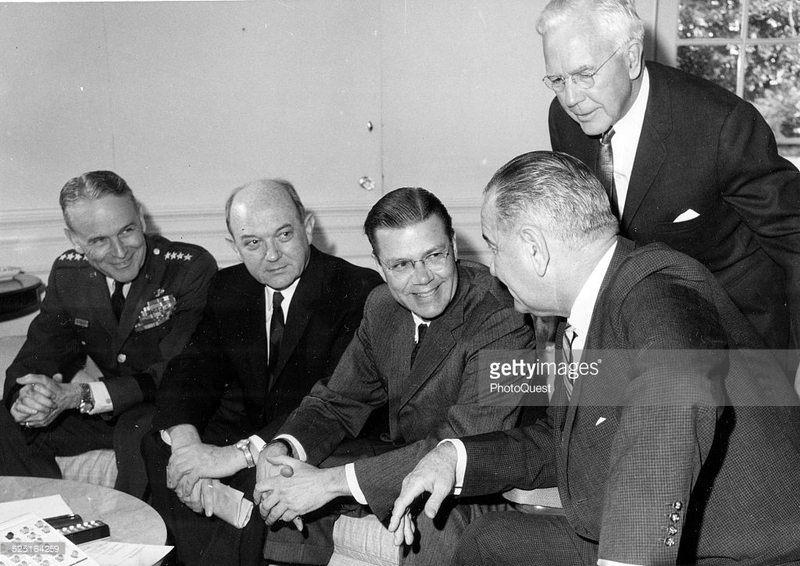 “the Senator from the Pentagon----by JOHNSON’s very first NSAM, NSAM # 273----that escalated and expanded the war----and, that escalated and expanded billion$ in profit$ to the war profiteer$----only one day after JOHNSON buried President KENNEDY. . . . . Follow the huge, deep money Ca$h trails of the Military Industrial Complex to learn what benefiting persons, groups, corporations, etc are illuminated . . . .
in this country and no national crime syndicate. happened ---- in that sense ---- is what the mobsters wanted." largest union in the United States, still free. " During the HSCA investigation of the President Kennedy assassination, former C.I.A. Finance Officer JAMES WILCOTT testified that he had learned that former U.S. Marine LEE HARVEY OSWALD had been paid by the C.I.A. while OSWALD had been ordered stationed and served at the Top Secret airbase in Atsugi, Japan for the C.I.A.’s over flight U-2 jets surveillance missions covering Communist Russia and Communist China. "If Jimmy Hoffa, Santos Trafficante, and Carlos Marcello concluded that President Kennedy had to go, they most certainly had the guns, the guts, and the power to get the job done." probably Marines, would come in to expand the beachhead. The failed Communist Cuba liberation at the Bay of Pigs by C.I.A.-trained Cuban exiles on April 15th to 19th, 1961. An April 29, 2000 Washington Post article, "Soviets Knew Date of Cuba Attack", reported that the C.I.A. 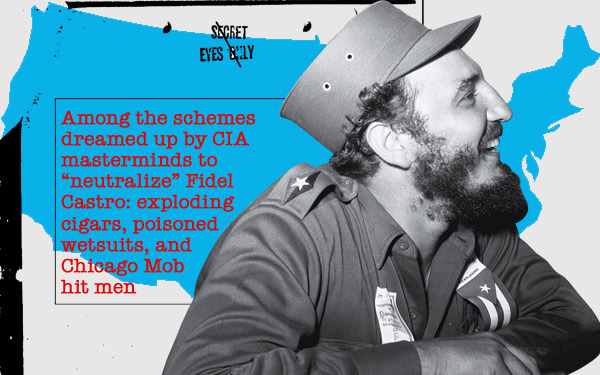 already possessed gathered intelligence from operatives and linked chains of information before the attempted Cuba liberation that clearly indicated that the Communist Soviet Union knew (and, therefore, Cuban forces also knew) that the U.S. backed Cuba liberation attempt was going to take place, but, the C.I.A. managers decided within “the company” ---again, on its own--- to never reveal to President Kennedy that the Russians and Cubans already knew well ahead of time about the coming liberation attempt. de Mohrenschildt arrange profitable business connections overseas. be returning to the Dallas area. De Mohrenschildt felt he was being primed. confirm such a mission and set up another mutually beneficial relationship. years if Moore had not sanctioned it,” de Mohrfenschildt said in his final interview. day he quit his job at a Fort Worth welding company and made the move. his move, with a Dallas graphics arts company, Jaggars-Chiles-Stovall. “Then, if there were a third Bay of Pigs it could happen," said the President. "We have not been told the truth about Oswald." 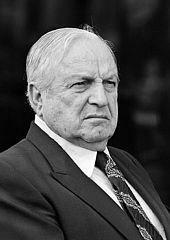 U. S. Mafia Capo di tutti capi “Godfather" ---- the 5’ 2” CALOGERO MINACORE, a.k.a. In Marcello’s case the intent of the Kennedy administration was made known even before Inauguration Day, January 20, 1961. On December 28, 1960, the New Orleans States-Item reported that Attorney General-designate Kennedy was planning specific actions against Marcello. An F.B.I. report from that period noted: “On January 12, 1961, a [source] advised that Carlos Marcello is extremely apprehensive and upset and has been since the New Orleans States-Item newspaper on December 28, 1960 published a news story reporting that… Robert F. Kennedy stated he would expedite the deportation proceedings pending against Marcello after Kennedy takes office in January 1961.” While the House Select Committee on Assassinations carefully examined numerous areas of information pertaining to the proficiency of the F.B.I. in investigating organized crime during the 1950’s and early 1960’s, and found various areas in which Bureau performance was significantly deficient, questionable and even suspiciously so, the city of New Orleans was a special case. The F.B.I.’s outright denial of the existence of organized crime in New Orleans was unique to that city. The facts reveal that the Bureau’s conclusions on Marcello in New Orleans were attributable to a disturbing attitude on the part of the senior agent who supervised the organized crime investigations in that city, Regis Kennedy. He had been in charge of the Bureau’s work on Marcello and the New Orleans Mafia for years; unfortunately, he had also directed much of the F.B.I. investigation in that city of President Kennedy’s assassination. must cut off the dog's head. " why President KENNEDY, not Attorney General ROBERT KENNEDY, would be killed. . . .
ribs before struggling and barely surviving to find his way, eventually, to a small airport. As part of its investigation, the committee examined a published account of what was alleged to have been a threat made by Carlos Marcello in late 1962 against the life of President Kennedy and his brother, Robert, the Attorney General. The information was first set forth publicly in a book on organized crime published in 1969, "The Grim Reapers," by Ed Reid. Reid, a former editor of the Las Vegas Sun, was a writer on organized crime and the co-author, with Ovid Demaris, of "The Green Felt Jungle," published in 1963. In a lengthy chapter on the New Orleans Mafia and Carlos Marcello, Reid wrote of an alleged private meeting between Marcello and two or more men sometime in September 1962. [MY INSERTION: the meeting took place 9-11-62] His account was based on interviews he had conducted with a man who alleged he had attended the meeting. It was then that Carlos' voice lost its softness, and his words were bitten off and spit out when mention was made of U.S. Attorney General Robert Kennedy, who was still on the trail of Marcello. "Livarsi na petra di la scarpa!" Carlos shrilled the cry of revenge: "Take the stone out of my shoe!" "Don't worry about that little Bobby, son-of-a-b***h," he shouted. "He's going to be taken care of!" Ever since Robert Kennedy had arranged for his deportation to Guatemala, Carlos had wanted revenge. But as the subsequent conversation, which was reported to two top Government investigators by one of the participants and later to this author, showed, he knew that to rid himself of Robert Kennedy he would first have to remove the President. Any killer of the Attorney General would be hunted down by his brother; the death of the President would seed the fate of his Attorney General. No one at the meeting had any doubt about Marcello's intentions when he abruptly arose from the table. Marcello did not joke about such things. In any case, the matter had gone beyond mere "business"; it had become an affair of honor, a Sicilian vendetta. Moreover, the conversation at Churchill Farms also made clear that Marcello had begun to move. He had, for example, already thought of using a "nut" to do the job. Roughly 1 year later President Kennedy was shot in Dallas -- 2 months after Attorney General Robert Kennedy had announced to the McClellan committee that he was going to expand his war on organized crime. And it is perhaps significant that privately Robert Kennedy had singled out James Hoffa, Sam Giancana, and Carlos Marcello as being among his chief targets. In an interview with the committee, Reid said that his informant stated that Marcello seemed to be "very serious" as he spoke of planning to assassinate President Kennedy. including his, and others, detailed threats against the KENNEDY’s. going to make it to the election. He is going to be hit." ALEMAN understood that from the context of the conversation, TRAFFICANTE meant that the "hit" would come from HOFFA. It turned out that ALEMAN was also a long time F.B.I. 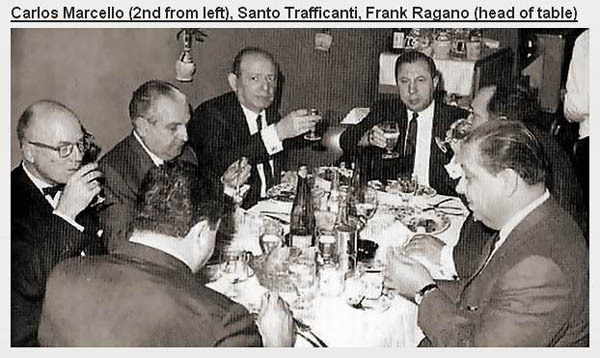 informant and, after meeting with TRAFFICANTE, he went to the F.B.I.’s Miami office and told his control agent what TRAFFICANTE said but they were only interested in TRAFFICANTE’s business proposals. Years later, Louisiana Teamsters official EDWARD PARTIN confirmed that such talk was circulating among the Teamsters. 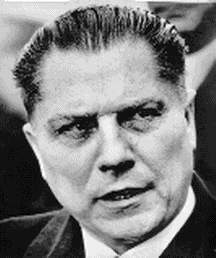 PARTIN said that in the summer of 1962, HOFFA himself spoke of killing ROBERT KENNEDY, and perhaps even the president, to get the federal government off the Teamsters’ back. The 1962 Cuban Missiles Crisis of Russian nuclear weapons armed missiles in Cuba nearly brings the United States and the Russia into nuclear conflict. Khrushchev conceived the idea of placing missiles in Cuba as a deterrent to another possible U.S. invasion attempt of Cuba, and justified the move in response to U.S. missiles deployed in Turkey. 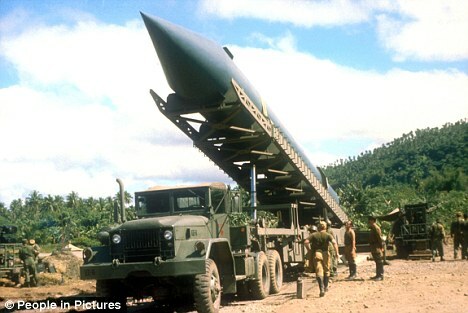 Soviet R-12 medium range ballistic missiles are sent for deployment on Cuban soil; however, American Lockheed U-2 reconnaissance discovered the construction of the missile installations on October 14, 1962. As a result, the U.S. publicly announced its discovery on October 22, 1962, when President Kennedy implemented a quarantine around Cuba that would actively intercept and search any vessels heading for the island. In a personal letter to Khrushchev dated October 27, 1962, Castro urged him to launch a nuclear first strike against the United States if Cuba were invaded, but Khrushchev rejected any first strike response. Soviet field commanders in Cuba were, however, authorized to use tactical nuclear weapons if attacked by the United States. Khrushchev agreed to remove the missiles in exchange for a U.S. commitment not to invade Cuba and an understanding that the US would secretly remove American “Jupiter” medium range ballistic missiles targeting Communist Soviet Union from Turkey and Italy, a measure that the U.S. implemented a few months later. The missile swap was never publicized because the Kennedy Administration demanded secrecy in order to preserve NATO relations and protect Democratic Party candidates in the upcoming U.S. elections. The confrontation ended on October 28, 1962 when President Kennedy and United Nations Secretary-General U Thant reached an agreement with Soviet Premier Nikita Khrushchev to dismantle the offensive weapons and return them to the Communist Soviet Union, subject to United Nations verification, in exchange for an agreement by the United States to never invade Cuba. into becoming a pre-programmed tool for political assassination. Kennedy when he comes down South." segment of 2009 letter written from ADELLE E. U. EDISEN, PhD, to President-elect OBAMA… Doctor JOSE ALBERT RIVERA (based out of Bethesda Hospital - where President KENNEDY’s “autopsy” was performed), who was also a Biological Warfare Unit (such as the C.I.A. weapons theorized for assassination teams use to try to kill CASTRO) U.S. Army Colonel had expressed foreknowledge of President Kennedy’s assassination to EDISEN in April 1963. In 1963 RIVERA also taught biochemistry at Tulane University, near New Orleans, and was a “National Institutes of Health” administrator. . . .
*Somehow* RIVERA already knew of OSWALD's Magazine Street phone number in New Orleans, two weeks before OSWALD, himself, even knew he was moving back to New Orleans . . . .
for a "little favor … You won't believe this, but he wants you to kill John Kennedy. uncomfortable subject, one they were unwilling to discuss." The Treaty banning Nuclear Weapon Tests In The Atmosphere, In Outer Space And Under Water, often abbreviated as the Partial Test Ban Treaty (PTBT), Limited Test Ban Treaty (LTBT), or Nuclear Test Ban Treaty (NTBT) (although the latter also refers to the Comprehensive Test Ban Treaty) is a treaty prohibiting all test detonations of nuclear weapons except underground. It was developed both to slow the arms race (nuclear testing was, back then, necessary for continued nuclear weapon advancements), and to stop the excessive release of nuclear fallout into the planet's atmosphere. It was signed by the governments of Communist Soviet Union (represented by Andrei Gromyko), the United Kingdom (represented by Sir Alec Douglas-Home) and the United States (represented by Dean Rusk), named the "Original Parties," at Moscow on August 5, 1963 and opened for signature by other countries. It was ratified by the U.S. Senate on September 24, 1963 by a vote of 80 to 19, and signed by President Kennedy on October 7, 1963. The treaty went into effect on October 10, 1963. On 10-11-63 President KENNEDY ordered National Security Action Memorandum # 263 (NSAM 263), that ordered our first 1,000 United States troops to leave Vietnam by 1965.
endangered White House policy’ "
to kill CASTRO, despite the fact that ALLEN DULLES, the C.I.A. “In brief, Mr. Nagell maintains that he sought to warn both the F.B.I., in the form of a registered letter to Director Hoover on September 17, 1963, and the C.I.A., specifically Desmond Fitzgerald's office of the special affairs staff of the C.I.A., of an assassination plot involving Oswald and two Cuban exile associates who used the code names of Angel and Leopoldo. 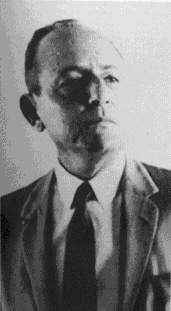 At the time, Mr. Nagell was working as a double-agent and had connections to the Soviet KGB and/or GRU intelligence services, as well as Cuban intelligence, possibly Japanese intelligence, and the C.I.A..
“Sylvia Odio's visitors were three men, including two who were described by both Anne and Sylvia as ‘looking more Mexican than anything else,’ and one American who spoke poor Spanish (apparently understanding even less). as “Leon Oswald” who she and her sister have steadfastly identified as LEE HARVEY OSWALD. SYLVIA ODIO videotaped statements with respect to what she commission-testified to about her meeting LEE HARVEY OSWALD and his two, violently militant, anti-CASTRO cohorts, at the exact same time when the Warren Commission "lone-nut"-apologists theorize he was sitting in a bus going to Mexico City. its contact with Lee Harvey Oswald." of the U.S. Congress passing the 1993 "JFK Records Act,"
relating to Oswald's visit to Mexico City. had been following for over a year. “If the United States ever experiences an attempt at a coup to overthrow the government, it will come from the C.I.A. The Agency represents a tremendous power and total unaccountability to anyone." before it would have gone off." “At a meeting with James J. Rowley, the head of the Secret Service, Bolden criticized the "general laxity and the heavy drinking among the agents who were assigned to protect the President". As a result of these complaints, Bolden was sent back to the Chicago office and assigned to routine anti-counterfeiting duties. 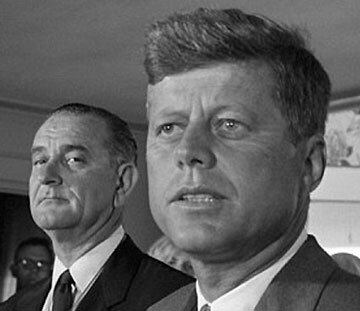 Bolden claimed that in October, 1963, the Chicago Secret Service office received a teletype from the Federal Bureau of Investigation warning that an attempt would be made to kill President John F. Kennedy by a four-man Cuban hit squad when he visited the city on 2nd November. Armed with high-powered rifles, the men from "a dissident Cuban group". According to investigative journalist Edwin Black, the Secret Service arrested two suspects, however, they were eventually released. Abraham Bolden later discovered that this information was being kept from the Warren Commission. When he complained about this he was warned "to keep his mouth shut". Bolden decided to travel to Washington where he telephoned Warren Commission Counsel J. Lee Rankin. Bolden was arrested and taken back to Chicago where he was charged with discussing a bribe with two known counterfeiters. He was eventually found guilty of accepting a bribe and spent six years in prison. When he tried to draw attention to his case, he was placed in solitary confinement. Sam DeStefano, one of the men who accused Bolden of this crime, was murdered in 1973. DeStefano was close to Sam Giancana, Charles Nicoletti and Richard Cain. It is believed that Cain murdered DeStefano. Soon afterwards, Cain himself was murdered. Lamar Waldron claims in his book, Ultimate Sacrifice, that according to a Central Intelligence Agency memo, mobsters in Chicago were involved in framing Bolden on the bribery charges. In 2008 Abraham Bolden published his book, The Echo from Dealey Plaza, an account of his time as a member of the White House Secret Service." in Trauma Room # 1 at Parkland Hospital.... Soon Mr.
control of the very experienced Dallas County Coroner, and then quickly took JFK back into Air Force One. “JFK and the C.I.A. were in a virtual state of war from the moment of the Bay of Pigs disaster until the day he died. JFK did not trust the C.I.A. and he reportedly intended to dismantle it after the 1964 election. In Vietnam, the C.I.A. refused to carry out instructions from the ranking American official in the country. It also ignored JFK's orders to stop working with the Mafia. When Kennedy heard the news that South Vietnam's dictator Ngo Diem had been murdered by a C.I.A.-backed coup, against his express wishes, he was outraged. Kennedy was no fan of Diem's, but he did not want to see him murdered. General Maxwell Taylor wrote that upon learning of Diem's death JFK ‘leaped to his feet and rushed from the room with a look of shock and dismay on his face.’ Senator George Smathers reported that Kennedy blamed the C.I.A. for Diem's murder. According to Smathers, Kennedy said he had to ‘do something about’ the C.I.A. and that the Agency should be stripped of its exorbitant power. 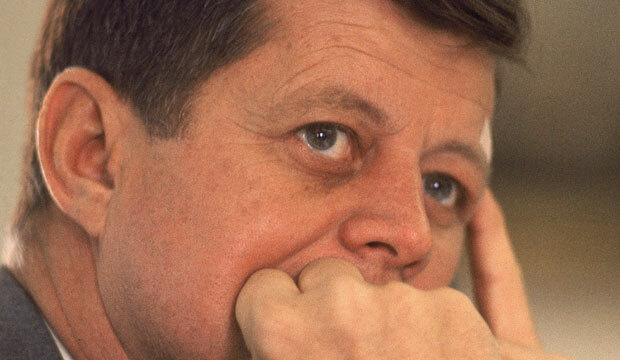 On another occasion, Kennedy reportedly said he would scatter the C.I.A. ‘into a thousand pieces.’ "
“It's worth noting that Kennedy was assassinated just three weeks after South Vietnam's dictator, Ngo Dinh Diem, along with his brother, Ngo Nhu, were murdered in a coup that Kennedy backed. Naturally, family and backers of Diem and Nhu would have had a powerful motive to kill Kennedy. The only problem with that is that the coup took place a little sooner than Diem counted on. We contend that Diem and Nhu (along with their colleagues in the Marseille and U.S. mafias) already had a plan underway to assassinate John F. Kennedy. But Diem and Nhu were assassinated themselves before their plan could be enacted. Three weeks after Madame Nhu made this statement, JFK was killed in Dallas. There is some evidence that Lyndon Johnson himself suspected that supporters of Diem and Nhu were involved in Kennedy's death. “Private First Class Eugene Dinkin was a cryptographic code operator stationed in Metz, France. On November 4, 1963 he went AWOL from his unit, and entered Switzerland using forged travel orders and a false Army identification card. On November 6, he appeared in the Press Room of the United Nations in Geneva and told reporters he was being persecuted. 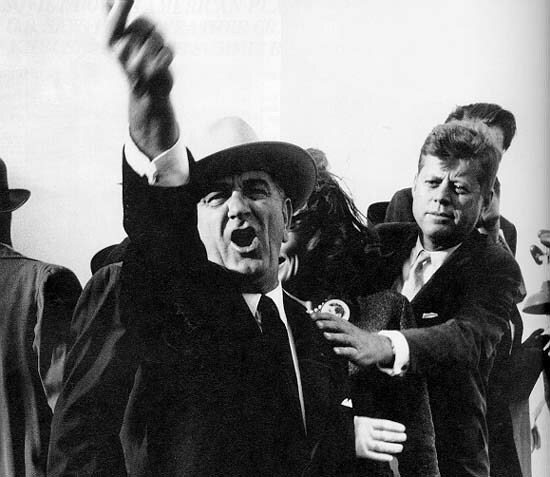 He also told reporters that "they" were plotting against President Kennedy and that "something" would happen in Dallas. After Kennedy was murdered, a friend of Dinkin's named Dennis De Witt told military authorities that Dinkin had predicted Kennedy's assassination for November 28, and later changed the date to November 22. Dinkin was arrested on November 13 and placed in a psychiatric hospital, and later transferred to Walter Reed, where he underwent various psychological tests before eventually being released. His allegation reached the White House on November 29, and went to the Warren Commission in April of 1964." “One method of determining the truth would have been to interview his military associates to see what he told them about where his ideas came from, including those named by [Dinkin] [in] his F.B.I. interviews: PFC Dennis De Witt, PFC Larry Pulles, Sgt. Walter Reynolds, and R. Thomas. The F.B.I., after taking these names, does not appear to have followed up on them. The Warren Commission took no interest in the matter, and indeed omitted any mention of Dinkin from its purportedly encyclopedic 26 volumes of evidence." SOMERSETT: . . . . I think Kennedy is coming here on the 18th . . . . to make some kind of speech . . . . I imagine it will be on TV. MILTEER: You can bet your bottom dollar he is going to have a lot to say about the Cubans. There are so many of them here. SOMERSETT: Yeah, well, he will have a thousand bodyguards. Don't worry about that. MILTEER: The more bodyguards he has the more easier it is to get him. SOMERSETT: Well, how in the hell do you figure would be the best way to get him? MILTEER: From an office building with a high-powered rifle. How many people does he have going around who look just like him? Do you now about that? SOMERSETT: No, I never heard he had anybody. MILTEER: He has about fifteen. Whenever he goes anyplace, he knows he is a marked man. SOMERSETT: You think he knows he is a marked man? SOMERSETT: They are really going to try to kill him? MILTEER: Oh yeah, it is in the working. Brown himself, [Jack] Brown is just as likely to get him as anybody in the world. He hasn't said so, but he tried to get Martin Luther King. 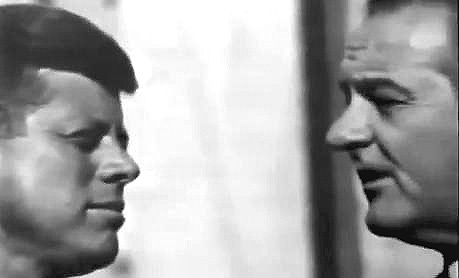 . . . . After a few more minutes of conversation, SOMERSETT again speaks about assassination . . . .
SOMERSETT: Hitting this Kennedy is going to be a hard proposition, I tell you. I believe you may have figured out a way to get him, the office building and all that. I don't know how the Secret Service agents cover all them office buildings everywhere he is going. Do you know whether they do that or not? MILTEER: Well, if they have any suspicion they do that, of course. But without suspicion, chances are that they wouldn't. You take there in Washington. This is the wrong time of the year, but in pleasant weather, he comes out of the veranda and somebody could be in a hotel room across the way and pick him off just like that. MILTEER: Sure, disassemble a gun. You don't have to take a gun up there, you can take it up in pieces. All those guns come knocked down. You can take them apart. . . . . Before the end of the tape, the conversation returns to focus on JFK . . . .
MILTEER: Well, we are going to have to get nasty . . . .
MILTEER: We have got to be ready, we have got to be sitting on go, too. SOMERSETT: Yeah, that is right. MILTEER: There ain't any count-down to it, we have just go to be sitting on go. Countdown, they can move in on you, and on go they can't. Countdown is all right for a slow prepared operation. But in an emergency operation, you have got to be sitting on go. SOMERSETT: Boy if that Kennedy gets shot, we have got to know where we are at. Because you know that will be a real shake . . . .
MILTEER: They wouldn't leave any stone unturned there. No way. They will pick somebody within hours afterwards, if anything like that would happen, just to throw the public off. SOMERSETT: Oh, somebody is going to have to go to jail, if he gets killed. impress Mrs. Lillian Spingler, an employee at the Parrot Jungle gift shop. it was reported to the F.B.I. in late December. the murder of the President. Washington office at the time of the alleged transmission was Harry F.
errors and age of paper and terminology used." or whoever else... to throw blame at the Bureau." now, he told the former colleague, and "the FBI was all over my house." M. L.: Did you know him (Walter) well? FBI at that time, you know. M. L.: Did you believe this was false testimony that he made? McCURLEY: (Pause) I couldn't say yes or no. McCURLEY: I cannot recall that. M. L.: Do you have any idea why he might make it up? McCURLEY: I really don't, you know. M. L.: Did you ever know him to fabricate stories? that he had seen the teletype? M. L.: Was he best man at your wedding? Committee. He was one-time Bureau deputy director William C.
willing to talk about it. As noted, however, Sullivan never told his story to the HSCA. circuitous course. One of two agents told him simply, "Mr.
as senior vice president, received a letter from a "Mr. Hooverson"
warning teletype of November 17, 1963.
learned that Oswald ensconced in Dallas. money to address his considerable back tax problems. Grace, William – “Shortly before the assassination an executive of the Grace Lines was found unconscious in the street. Taken to a hospital, he mumbled that the president was to be shot. He had an appointment with Army Intelligence agents before he was found.” (Paris Flamonde, “The Kennedy Conspiracy”).